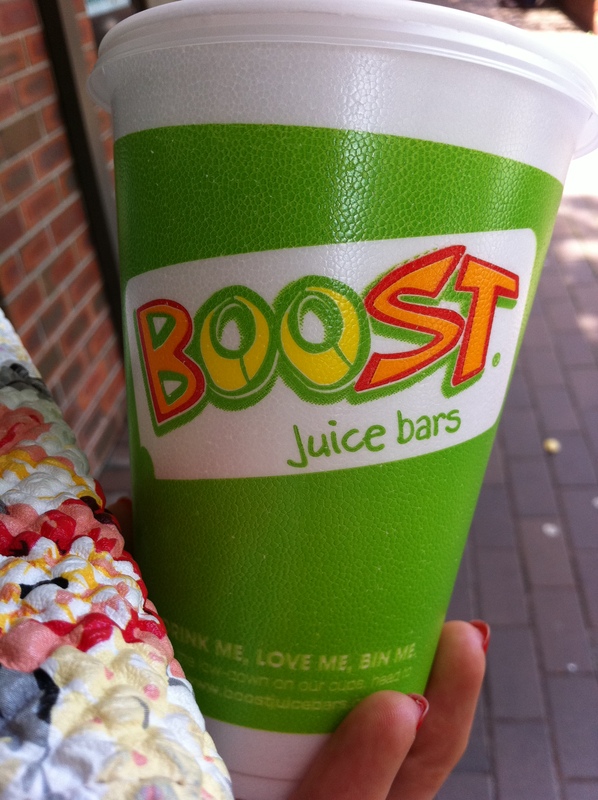 Now that the weather has finally heated up I often find myself craving a Boost Juice. 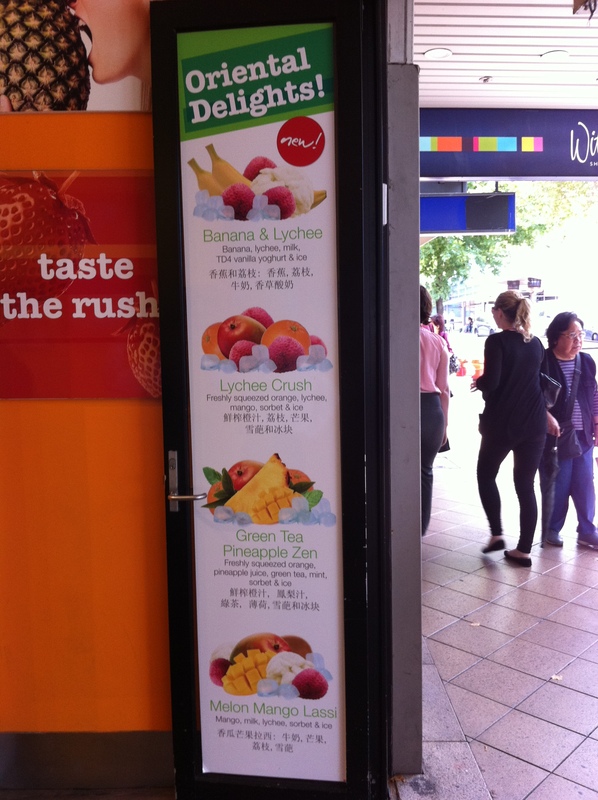 I walk past the one at Chatswood one on a daily basis and have noticed the list of Oriental Delights! flavours. As far as I am aware these are not available at other Boost Juice’s and considering my love of lychee I decided to try one out. I decided on the Lychee Crush, which consists of freshly squeezed orange, lychee, mango, sorbet & ice. While refreshing I was disappointed to find that the crush had a very strong mango flavour which disguised the lychee flavour. I would be interested in trying the banana and lychee Boost however have a feeling that once again the lychee will be disguised by the banana flavour. The great thing about Boost Juice is that they have a allergen guide in store and on their website here (which isn’t as comprehensive as the in-store guide) which lists the juices that are gluten and dairy/lactose free. Luckily for the coeliac’s out there most juices (except the king william chocolate, raspberry ripe, brekkie to gogo, gym junkie and wheatgrass shooter) are gluten free. Note though that the soy milk and protein booster contain gluten. What do you find yourself craving during the warmer weather? uhoh .i have been drinking the raspberry ripes. i love them! a year later and i still forget to check the nutritional info. i love lychee maybe i will make a lychee smoothie at home. I often forget to check the labels of products as well! I love lychee’s too – especially lychee cocktails! Let me know how you go with the smoothie.